For a more casual look, a jacket can be matched to a different color pair of trousers. With several choices of lapels and fancy backs there are literally hundreds of possibilities. Price will vary based on the features and materials selected. 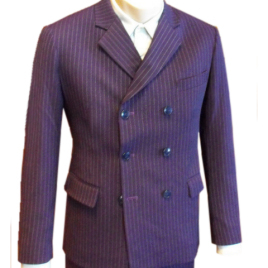 The price shown covers the cost of a jacket in our range of standard fabrics with a fancy back. Shown are some examples of Custom Blazers we have produced. 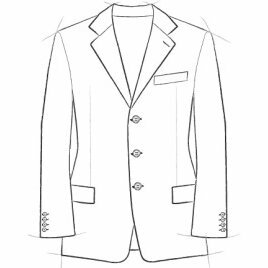 Please e-mail us to discuss your requests and we will let you know which level of custom details to select for your Blazer. Fronts: Whether single or double-breasted, with peaked or notched lapels, the front of the jacket can define your entire look. Backs: Often overlooked in modern jackets, the back can be made in many different ways. 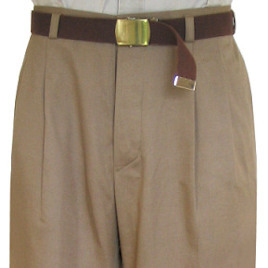 Shown here are three classic styles; plain back, half belt, and half belt with vertical vent. 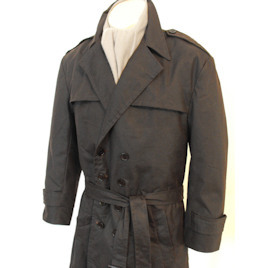 Pleats above and below the half belt accentuate the tailored look of the coat. 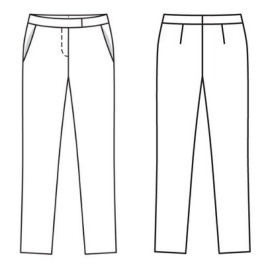 The plain back can also be made entirely fitted or with a straighter, sack-coat cut. 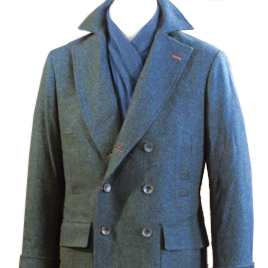 Material: Our jackets can be made in many different materials from light weight blends to linens and heavier tweeds. 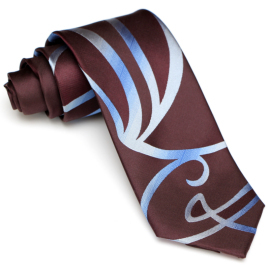 Available colours vary from summer whites to formal blacks, solids and pinstripes. 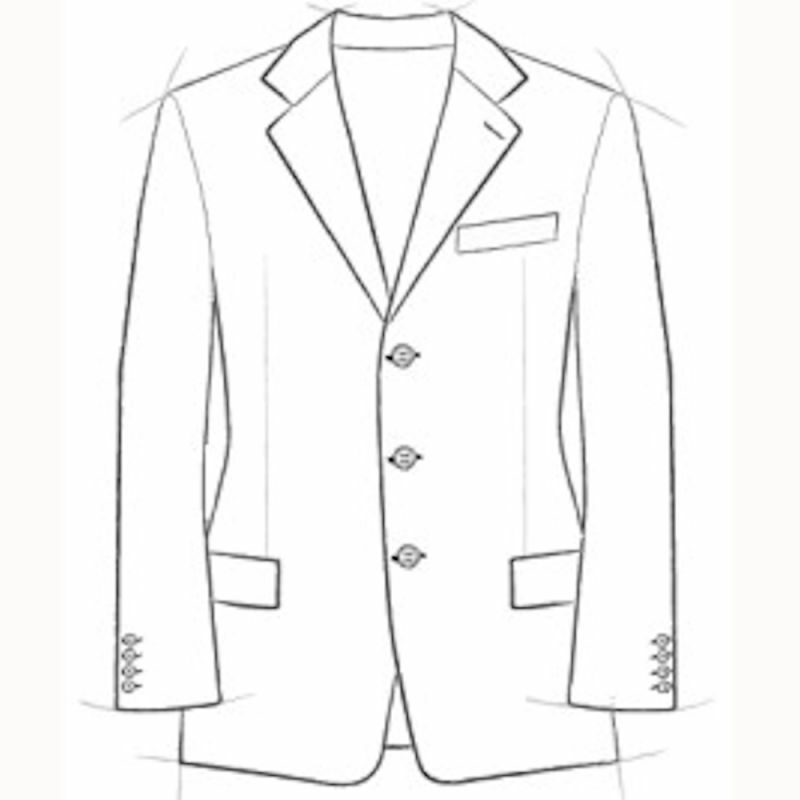 Have a look at our various suits and jackets to see what types of materials are available. If you don't see what you're looking for, feel free to e-mail us to discuss other options.